This grade I listed building in Warwickshire is a very fine example of an English Tudor country house. It casts an imposing figure with its continuous battlements and large parapets. The Tudor gatehouse that is the focal point of this impressive structure dates back to 1530 and is the oldest part of the structure. Coughton has been home to the Throckmorton family for 600 years and is set amid some of the most beautiful gardens in England. It is open to the public all year round and its immaculate upkeep means that there is a real treat in store for everyone who visits. If history is what you’re after then history is certainly not in short supply at Coughton. The family collection of memorabilia and portraits is one of the largest and finest in the country and dates back unbroken to the Tudor period when the Throckmortons became established there. 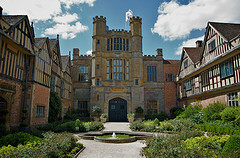 There is plenty more history housed at Coughton than the extensive family collection, however. The Castle boasts the chemise that Mary Queen of Scots supposedly wore when she was executed. Not only that, a Bishop’s Cope is also on display and the intricate needlework that can be seen on it is said to have been worked by Catherine of Aragon. Once you’ve immersed yourself in the details of the Castle’s interior, you must have a look at the magnificent gardens. Stretch your legs along the formal lawns, wander through the walled garden and see what you can spot in the vegetable garden. 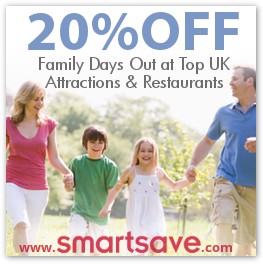 There is so much to discover outside that you can easily spend hours taking in the spectacular design and scenery. Whatever you want in a day out, Coughton Castle has it all – history, finery, architectural prowess and breath-taking landscape. Opening Times: 11am-5pm. Please see Website for seasonal alterations.